A good workout partner can be instrumental in motivating you to get to the gym and get in shape, a fact that also explains why nobody wants you to be theirs. Granting you access to folks who don't know any better, iSport. 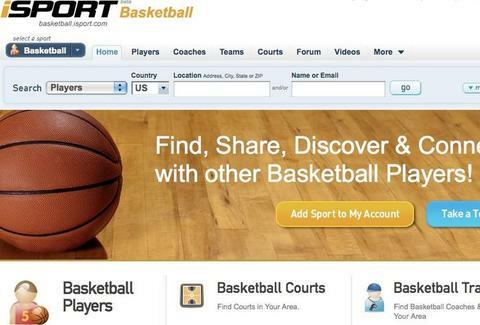 Designed to "bring sport and fitness into your life", iSport's a slick new community portal helping you do everything from find gym/sport/activity partners, to locate the nearest and best facilities at which to meet them (no gym, no problem: just steal a car, 'cause prison's got mad weights, and dudes to train you). Fill out a profile (physical descrip, diet, education...), then prioritize your interest level in/skill level at various sports (the growing list's at 27), from pickup hoops to more specialized pastimes like synchronized swimming; once completed, you can search for either nearby peeps or venues by sport/zip code, especially useful for anyone in LA looking to get schooled by Rashad McCants. McCants be unemployed. Each sport also...sports a "Guide" offering tips and info written up by the site's editors, covering everything from "How to Golf in the Wind" to a tutorial on surfer slang, plus you can also track your change in performance/fitness level using the "My Body" widget, which let's you record stats like muscle growth (neck, chest, & forearm size) and how many push-ups/ crunches you can manage in a minute, though if your count includes Peanut Butter and Oops! All Berries, you probably can't do any. For anyone up in the air, there's a "SportDNA" feature to match individuals with the activities they're best suited for based on self-judged physical and mental traits from stamina, to balance, to pain threshold -- something people generally need to have a lot of in their necks to endure trying to drag you to the gym.